Discover how the Family Learning Center creates a positive educational experience for your child with special needs. Welcome to the Family Learning Center. 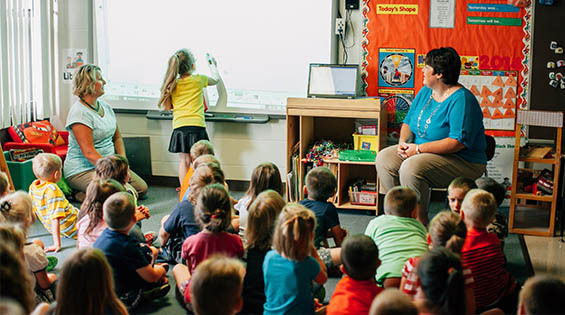 Our preschool is an integrated program serving children 3 to 6 years old from the school districts of Tiffin, Seneca East, Old Fort and Hopewell-Loudon. Our mission is to provide a positive learning experience to both children of special needs and typically developing children. Your son or daughter will benefit from a nurturing environment which has low teacher/pupil ratios and educational opportunities that cannot be duplicated in a larger setting. We want your child to feel safe to explore their new school setting, new materials and new relationships. Above all, we believe a child with special needs requires the compassion, patience and understanding that only comes about from a trained and qualified staff. Our teachers work with both the children and parents to create an Individualized Education Program (IEP) and ensure a positive preschool experience. Their dedication, caring ways and professional concern will nurture your child through these formative years. Once your child enters the Family Learning Center, they will become more self-reliant, gain pride in their own unique abilities, find a pathway to their creative potential and discover more about the exciting world around them. In today’s world of education, there are challenges for both advanced placement children and children with special needs. Even children who fall in-between can need some additional skillset to help them succeed at a higher level. The Family Learning Center in conjunction with the Ohio Coalition for the Education of Children with Disabilities and NCOESC have scheduled a series of workshops for parents of children with special needs. These workshops will cover preschool and K-12. 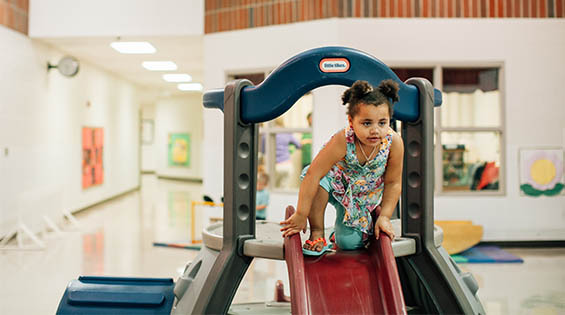 At The Family Learning Center, children with special needs will learn the skills they need to succeed in kindegarten and beyond. They will have access to the technology, accommodations and caring staff that are dedicated to their success.